The Ukrainian government has given the private army of billionaire Dnepropetrovsk governor Igor Kolomoysky a day to lay down their weapons, after they occupied and erected a fence around the headquarters of the national oil company. “We won’t have armed personal security forces of businessmen and politicians on the streets of our cities. This applies to every single one of them,” Interior Minister Arsen Avakov said on his Facebook page. “There will be no more pocket armies for each governor. Any regional armed forces must fall in with the national military hierarchy,” the president warned. Arriving in unmarked armored trucks, dozens of camouflaged men barricaded themselves in the head office of majority state-owned oil producer Ukrnafta in central Kiev on Sunday afternoon. Kolomoysky, whose net worth is estimated at $1.3 billion by Forbes but may be much greater, according to local sources, was inside, issuing orders to build an impromptu barrier around the office. The government says no permit has been issued to allow this. Kolomoysky’s companies own about 43 percent of Ukrnafta, and the government controls just over half the shares. According to previous legislation, the state needed 60 percent ownership to exercise active control over a part-private company, which meant that Kolomoysky could treat Ukrnafta as his own property, including withholding dividends from the state, and sabotaging quorums at board meetings. The conflict erupted after the Rada passed a law on Thursday, stipulating that the state could manage any company in which it had a majority share. Kolomoysky has taken the news badly. After the government fired his protégé from Ukrtransnafta – another energy company in which he has a stake, but a transporter, not a producer – Kolomoysky also occupied its office on Friday. Accusing the government of being “Russian saboteurs” and “corporate raiders” in an expletive-filled rant to the media, he reportedly threatened to “bring 2,000 volunteer fighters to Kiev,” before being persuaded to stand down. MT "@BungeeWedgie: #Poroshenko vs #Kolomoisky: oligarchs engage in open conflict as feudalism returns to #Ukrainepic.twitter.com/YAsmCOJvng"
He also allegedly temporarily froze bank accounts owned by companies affiliated with Petro Poroshenko, himself an oligarch. Until the recent fallout, the oligarch, who additionally holds Israeli and Cypriot citizenships, was considered one of Kiev’s most effective allies. As well as espousing strongly nationalist rhetoric, Kolomoysky has funded several large units fighting against the rebel forces in the east of the country. But taking on the entire state apparatus may cost the oligarch more than just financial influence. These have been operating near the eastern conflict zones. 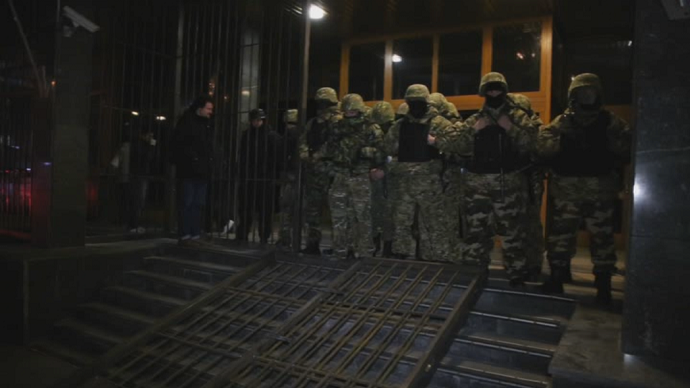 “A single criminal gang has been carrying out kidnappings, murders and violence against officials in Donetsk and Dnepropetrovsk. That gang has been in contact, and even received financing from Dnepropetrovsk officials,” he said during a press conference in Kiev. 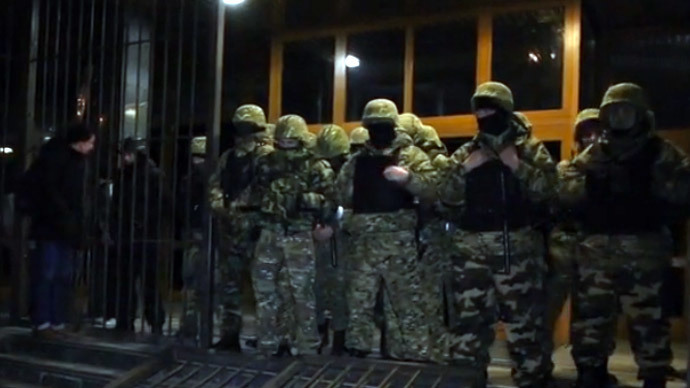 “Those officials are now intimidating our investigators by threatening to use illegal armed units against them in the region,” said Nalivaichenko, specifically naming the threat posed by ‘Sich’, the very same “security firm” that has occupied the Ukrnafta head office in Kiev. Four of Kolomoysky's allies in the Rada said on Monday that they were quitting Poroshenko's bloc, and called for a demonstration in Dnepropetrovsk, to show support for the embattled oil baron.